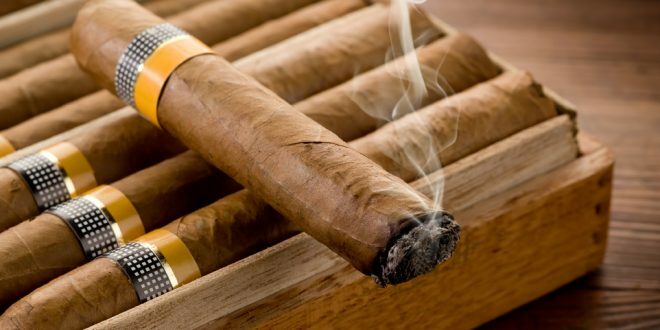 With the vast amount of cigars available, it’s a good idea to read cigar reviews before purchasing your next smokes. This allows you to have an idea what to expect before spending money, as cigars are generally non-returnable items. Information such as the overall flavor, intensity, nicotine content, etc are all important factors to consider before buying. Cigar reviews allow you to have a good idea of what to expect, so that you spend your money well informed. Some cigars are mass produced whereas others are produced in limited quantities, or even limited editions. The price increases depending on how the cigars are cured, aged, type of tobacco used, etc. This can make rare sticks even harder to find. How the cigar tastes by 1/3’s: first 1/3, second 1/3 and final 1/3. There are many shapes and sizes of cigars available, and the size and ring gauge will certainly change the flavor of a cigar. Therefore cigar reviews will help you make a well-informed purchase when trying new sticks. Cigar reviews allow aficionados to share their thoughts and opinions about the smoke, while creating an overall rating of the stick. This allows the person reading the evaluation of what cigars they may enjoy, and perhaps begin following the reviewers future posts. Some people are rather entertaining when writing a review, while others may be more serious and scientific. Either way, it’s a great way to discover new cigars. Cigar reviews posted by regular, average connoisseurs allow unbiased information to be shared with others, opposed to what ads, retailers and manufacturers may say. This is helpful when deciding what your next purchase will be. You may also learn more about the cigar as sometimes the manufacturer will not tell you everything. Additionally, you’ll start to see how the sizes, shapes, types of tobacco, origin, etc all affect the taste and flavor. You can find reviews on various websites, YouTube, etc. A good way to find a review of a particular cigar is to simply google the name of the cigar + review. For example: Opus X review. What’s the best cigar lighter to buy?